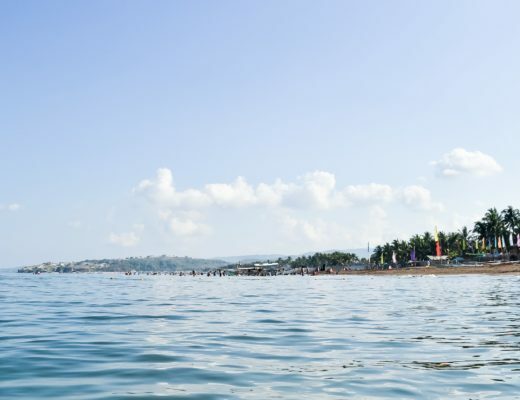 Unless, of course, you’d like the world to treat Mariveles, Bataan a second-rate destination. Or third-rate since people already did that to Dingalan, Aurora (Batanes of the East). 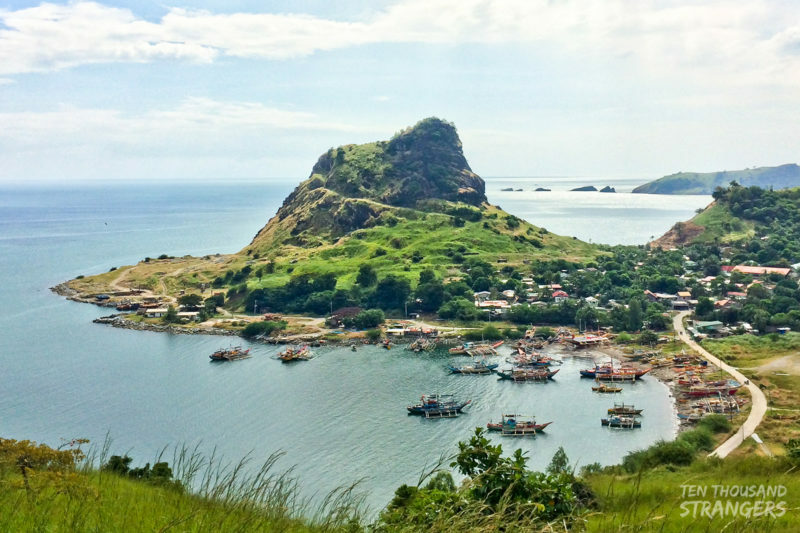 This is Mariveles, a marvel on its own. Filipinos, or perhaps the rest of the world, tend to promote things or places by associating them with the more popular counterpart. We find a tiny resemblance to a popular spot and we start creating the hype around it. I cringe whenever I’d encounter such publicity stunts as the references as often too stretched, too pretentious, and bottom line condescending. 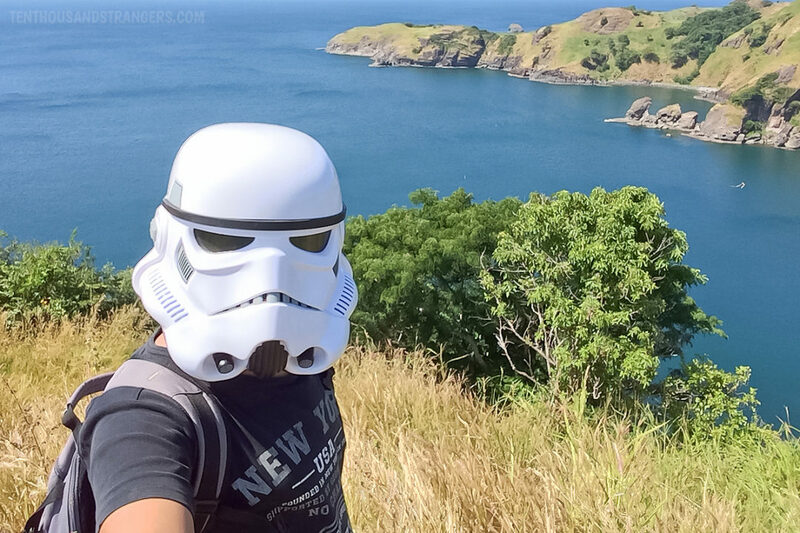 Last year, I went for a hike and island hopping in Zambales. And when a colleague learned about the trip, he introduced to me a nearby island that people refer to as the Maldives of the Philippines. As it turned out, the reference came about solely because of a wooden cottage with columns submerged in water during high tide. I wonder how they refer to it during low tide. The point is if you want to promote your tourist attraction, promote it as it is. Not in a way that suggests the place ranks inferior to the other. Otherwise, people will flock to the place you used as a reference instead. 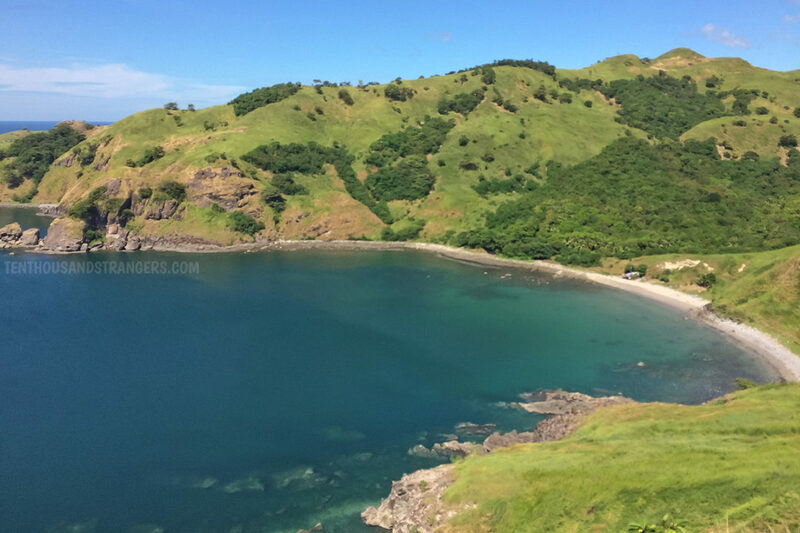 If you keep saying “Batanes of the West,” do you honestly expect people to flock to Mariveles? I, for sure, will go to Batanes instead. Bacolod has years of successful tourism under the tagline, “City of Smiles.” And more recently, Camiguin has captured a wide audience with a very effective tourism slogan and campaign, “Feel Camiguin.” Was there a reference to somewhere else? Definitely NONE. Which only means we can always do better by focusing on the subject rather than merely relying on the comparison. I digressed, but you probably got my point. Al-fresco dining at Pupung Grill at Brgy. Poblacion, Mariveles, Bataan. Wikimedia Commons by Judgefloro. Used under CC BY-SA 4.0. When I went to Mariveles last year, my sole purpose was to go binge drinking with my friend until I pass out. It’s something I haven’t done in a while. Unfortunately, and not much to my surprise, there was a self-imposed moratorium on alcohol in his household so he took me to a trade fair instead. Naturally, we weren’t too amused so we decided to go to Pupung Grill with one of his cousins instead. 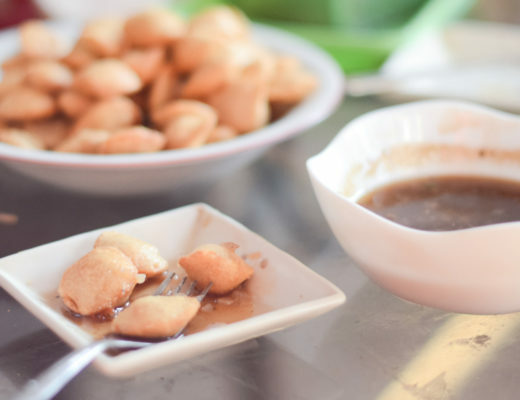 Pupung, as they refer to it, is an al-fresco restaurant by the bay. 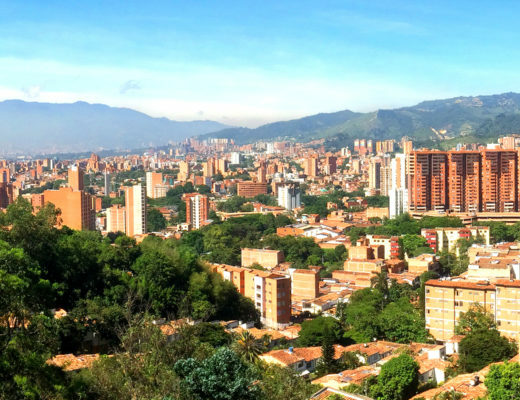 It’s the go-to place for locals seeking affordable beer and inexpensive pulutan. 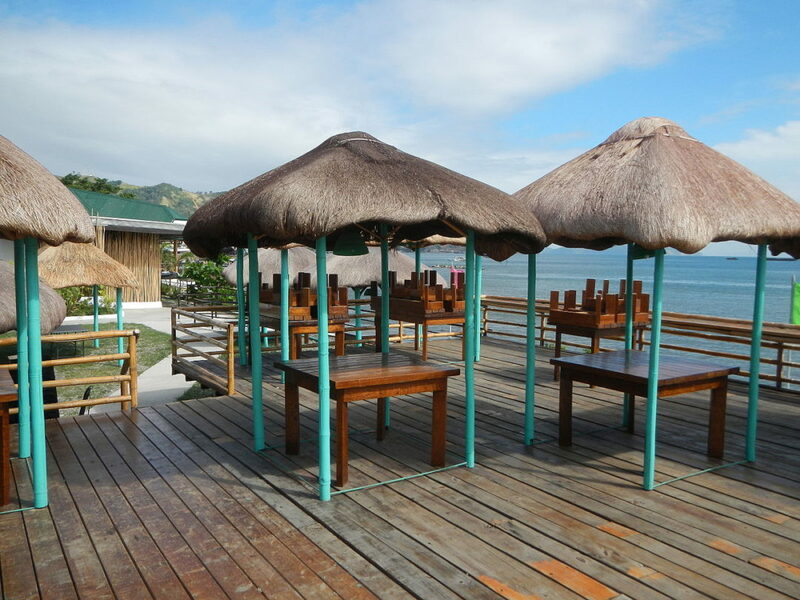 You’ll recognize the place by a shipwreck structure and the allusion to Roni Santiago’s Baltic & Co. trademark design. We went there to get drunk but my friend ordered a can of pineapple juice, instead. So his cousin and I just shared the bucket and left early. I can’t stand the live band and he had enough pineapple juice for the day (plus we really don’t have much money). Geography is my least favorite subject. I can’t locate a place on the map even if I’ve been there. I probably wouldn’t be able to know where Bataan is had I not have a friend from Mariveles. When I first heard about the Five Fingers Cove, I was thinking of the plant of the same name which happens to have a connection to a bad superstition in my province of Nueva Ecija. I never paid interest until my friend pestered me with photos and videos of the place. The following day, we headed for the Middle Finger. Sorry, I just can’t miss the pun. 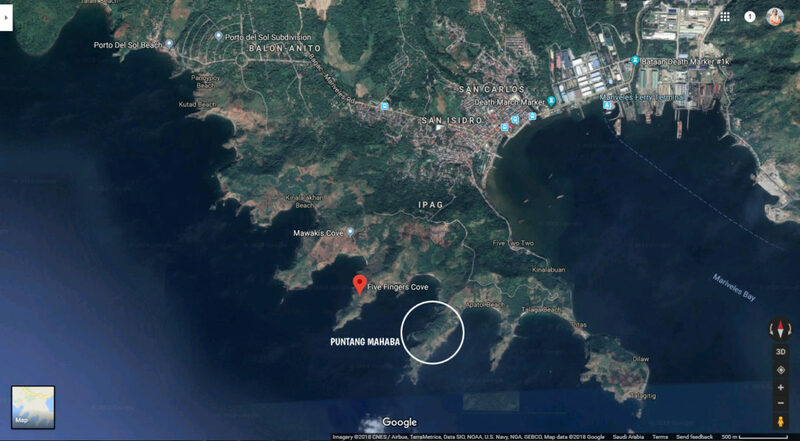 The locals actually refer to it as “Puntang Mahaba” (encircled on the photo below) and it’s located between Nagbayog and Apatot Coves. Satellite image of Mariveles Five Fingers Cove. A little bit of vocabulary here. “Punta” is a Spanish word which means “tip” in English. For instance — Punta Fuego (Batangas), Punta Verde (Tuguegarao), and Punta Engaño (Lapu-Lapu City). “Mahaba,” on the other hand, is a Tagalog word which means “long” in English. So essentially, “Puntang Mahaba” is “long tip” and it perfectly fits the description. There is no direct land access to Puntang Mahaba, the right of way is owned by San Miguel Corporation. However, knowing the right person to tap for permission, we were able to get past the security. Also, we were supposed to go to Talaga Beach, another property by San Miguel Corporation, but there is a company event taking place at the time so we were not able to proceed. Except for a family of goats, I never saw anyone else inhabiting the middle finger. Though according to my friend, a couple lives in a nipa house at the far end where a couple lives. I took the following photo of the Apatot Cove while resting at the goats’ hacienda. Just to be clear, the goats I’m referring to are real goats. It’s neither a figure of speech nor a reference to actual human beings (now I actually had someone in mind). Moving forward, we trailed towards a tree in the middle of the Middle Finger (I’m actually having a blast writing these two words) where we just rested while marveling at the adjacent coves. 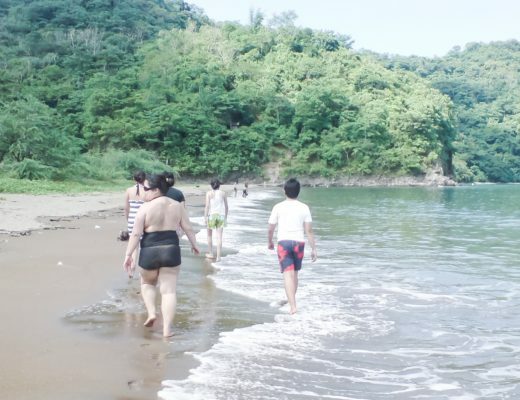 I was convincing the cousins to go swimming at the beach but, being fair-skinned hacienderos, they refused because apparently there were no trees there to take cover. Just kidding. Also, we brought no food. Not kidding. My attempts at taking better landscape photos of the Nagbayog Cove all failed because to do that, I had to go near the edge of the cliff. However, my friend’s father kept warning me not to go there because the wind was strong and I could fall off the cliff at any moment. 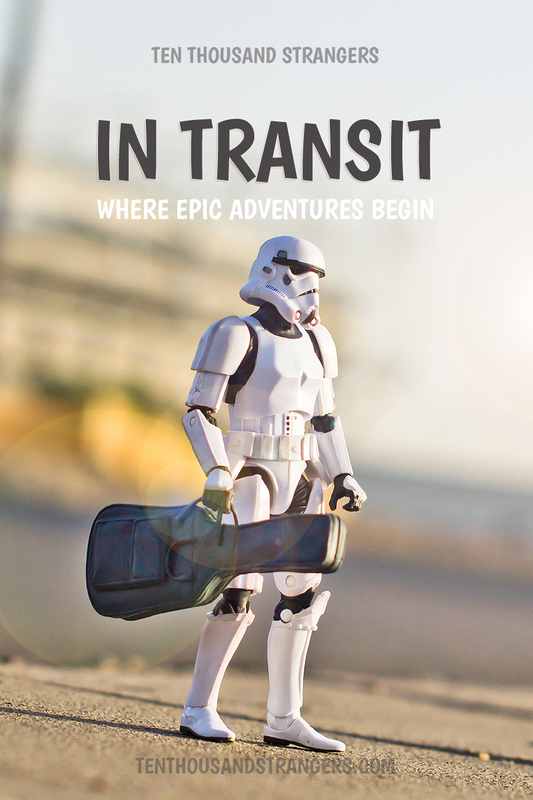 That’s him behind the Stormtrooper. My apologies if my photos failed to give justice to the esteemed Five Fingers Cove. I left my DLSR battery at home and all these photos were taken using a smartphone. Perhaps I had to make amends the next time I visit the place and when I’d be able to visit all the five coves instead of just the two. On the other hand, these videos clips I took were able to give the place better justice. Or so I hope. Please subscribe to my Youtube Channel by hitting that button above. I’m upgrading my Youtube channel to the extremes and I’m sure you’ll love what I have in store for you if you love watching time-lapse videos of sunsets, sunrise, busy night lights, and so much more. This is going to be epic, promise! So please hit that like button. Shortly after lunch, we went to the small fishing village of Brgy. Sisiman to get a glimpse of the San Miguel Peak and Lighthouse. Located along the Sisiman Bay is the San Miguel Peak, a large rock formation of over 200 meters tall. It is a popular rock-climbing site and, according to my friend, it used to hosts several summer sporting events held by a local chocolate milk brand. 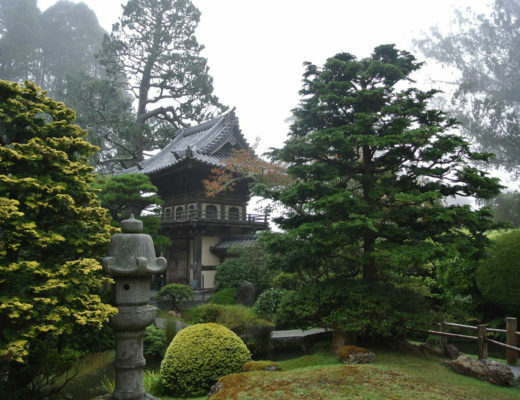 Large boulders are scattered at the foot of the rock formations which, according to the locals, are remnants of the debris left by the Japanese occupants in their attempts to dig tunnels for burying treasures. 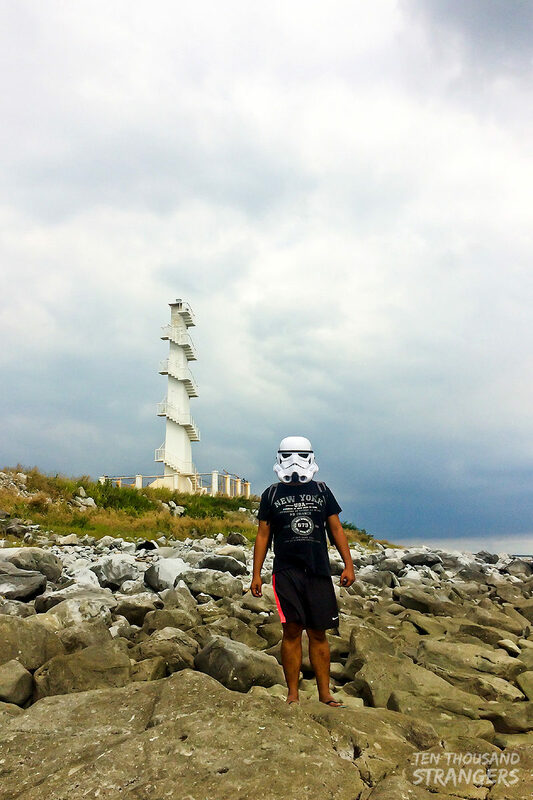 On its foot also stand the more popular lighthouse, the very first landmark in Mariveles that caught my attention. 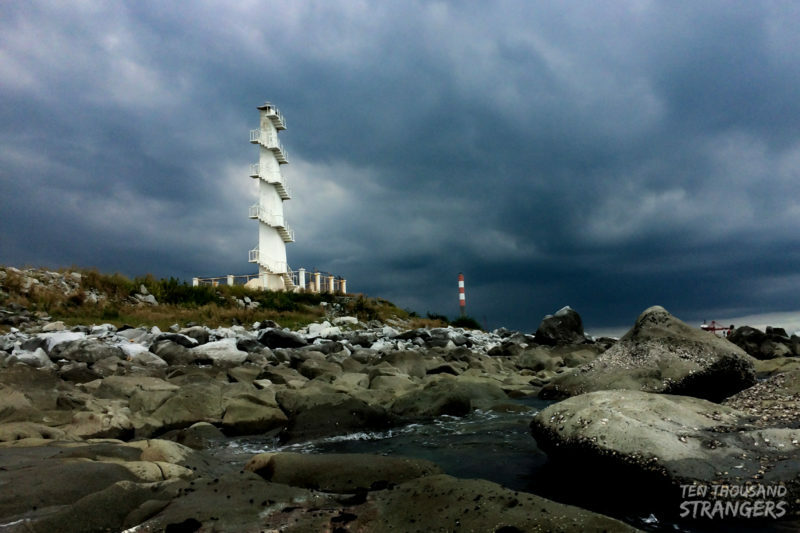 When my friend’s cousin shared to me a stunning photo of this lighthouse, I knew I had to visit the place for the sole purpose of capturing its bizarre beauty. Unfortunately, as earlier mentioned, I didn’t have my camera with me so I had to make do with my smartphone. Here’s a heavily edited photo of the San Miguel Lighthouse. 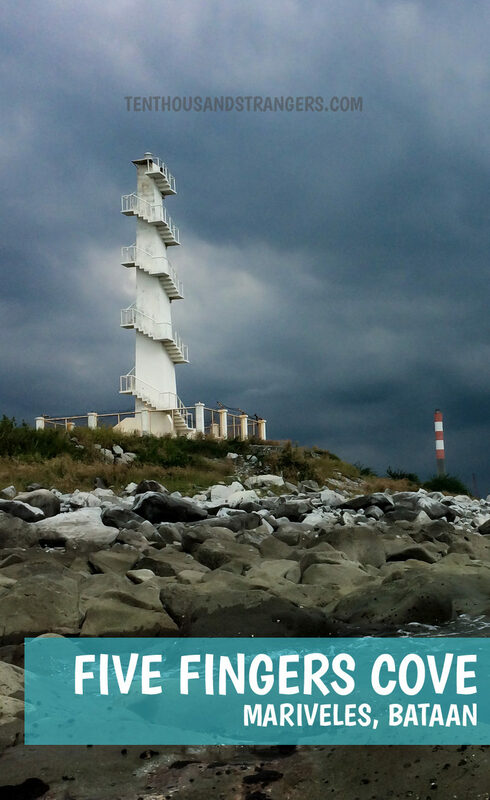 San Miguel Lighthouse, Mariveles, Bataan. 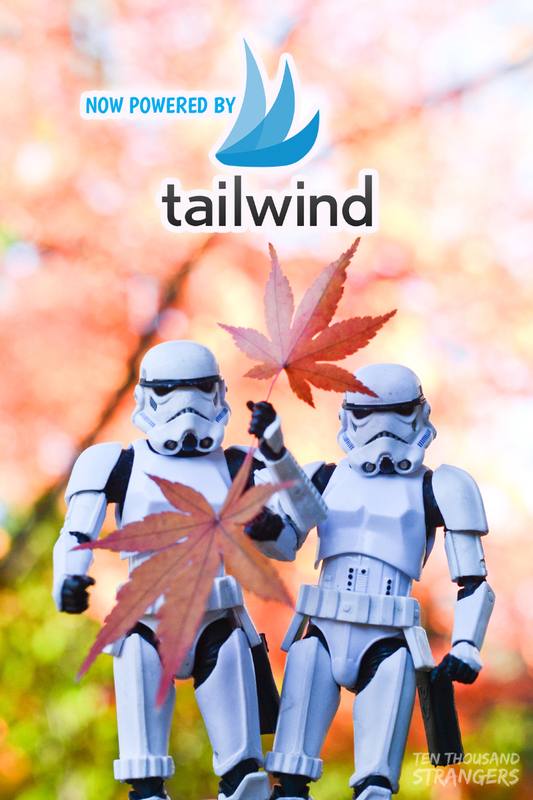 And now for the obligatory stormtrooper selfies. Or something to the effect. 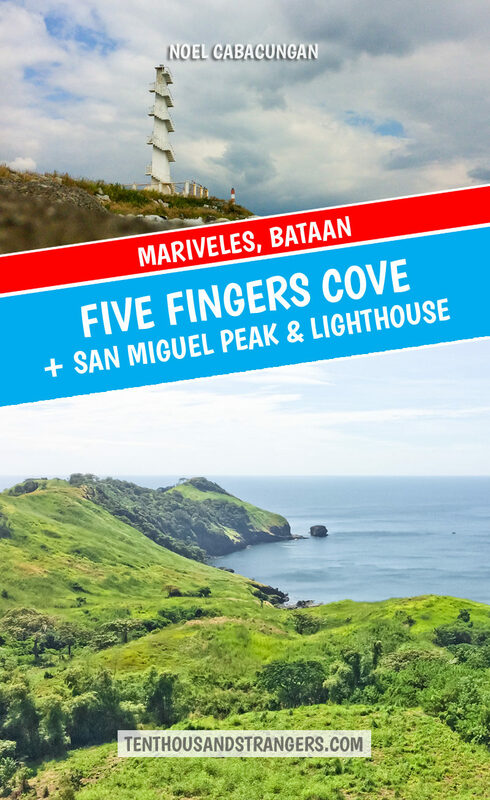 Ironically, Mariveles Five Fingers Cove is a summer destination. 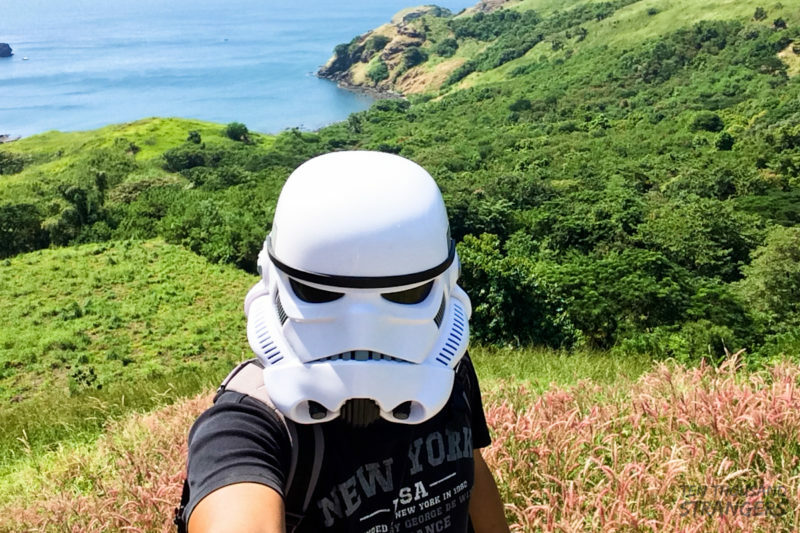 However, you can’t really appreciate the “Batanes of the West” everyone’s so eagerly anticipating during summer since the grass is usually dry this time of the year. The grass is usually at its greenest during the monsoon season though boating is usually not advisable because of the waves. 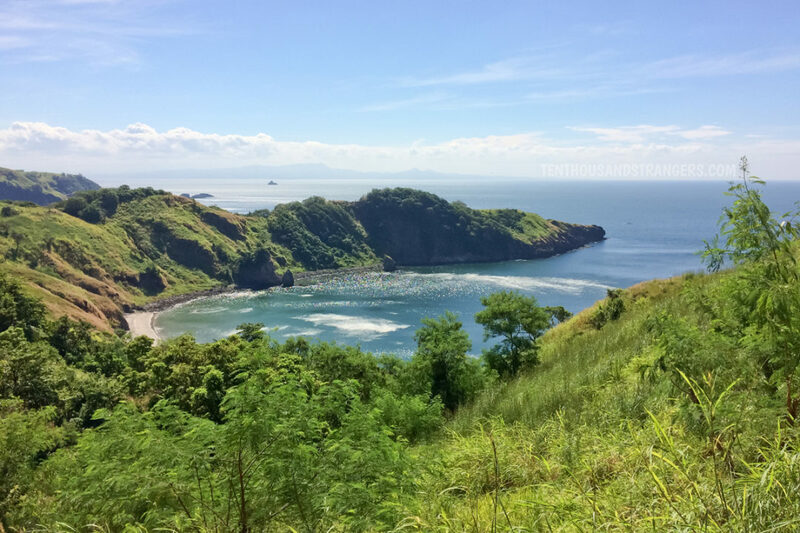 Which means you really have to pick a season to visit the Mariveles. Would you want to explore the place by water or by land, blue or green? It’s your choice. As earlier mentioned, I went to Mariveles to meet with my friend so I can’t give you a detailed itinerary. I was there to binge brink (and failed) and no pre-planning really happened. 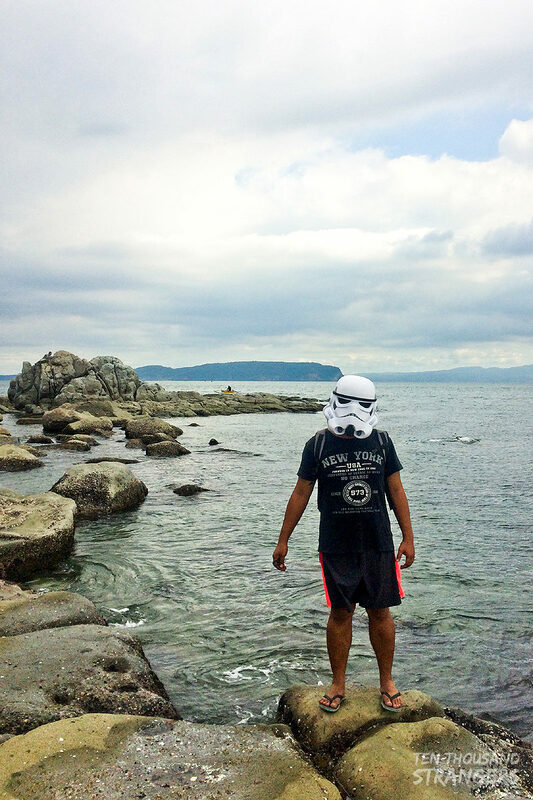 That said, Marge of Coffeehan wrote a very detailed day trip guide to Mariveles, Bataan. And if you’re planning to rent a boat for a DIY Five Fingers Cove tour, my friend’s father has one. Send me an email (kotsengkuba@gmail.com) or leave a message on my Facebook page and I’ll refer you to them. They’re just a stone’s throw away from Porto del Sol Beach. I’m leaving you with a youtube video by Andrew Asencio. 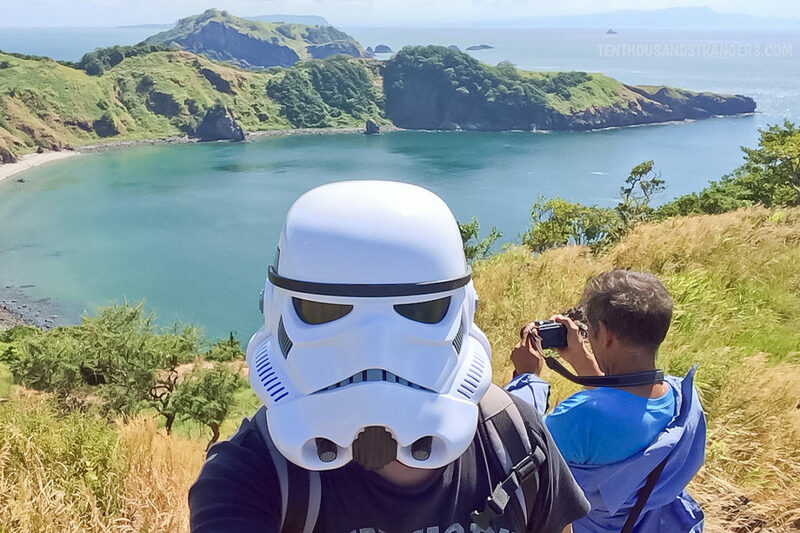 It’s the best featuring Mariveles Five Fingers Cove adventure Youtube video I found (as of posting) without too much going on, just pure unadulterated adventure. Don’t forget to like his channel. 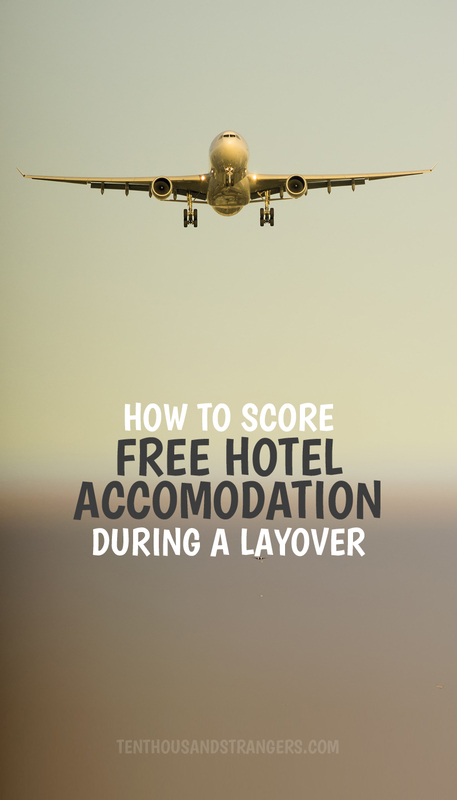 If you’re on Pinterest, you might want to consider pinning this post. Hover on the images below or click on the smaller buttons to share on your favorite social media channels.